The innovatively designed CO2 gauge PCE-AC 2000 rates the air quality based on combined gauging of the CO2 content in the air, the temperature and air humidity. The CO2 gauge is especially applicable to evaluate the air quality in conference- and habitable rooms in public and industrial areas (e.g. 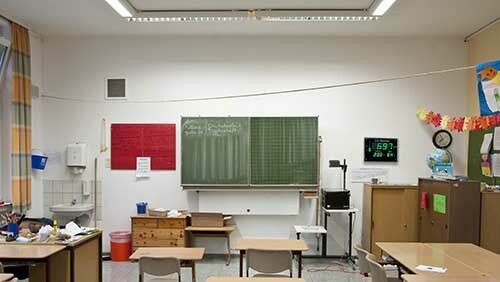 class rooms, conference rooms...) and for industrial operation. 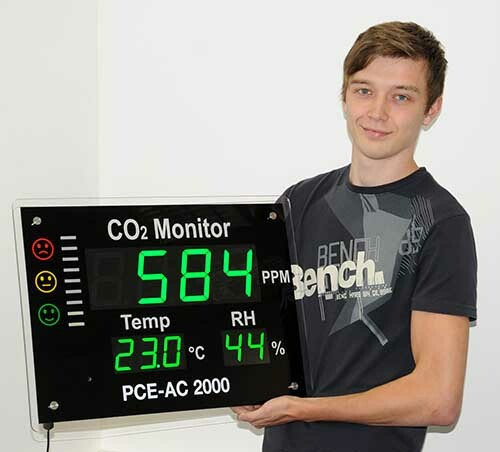 A high carbon dioxide concentration emerges quickly when several persons stay in a poorly aerated room. 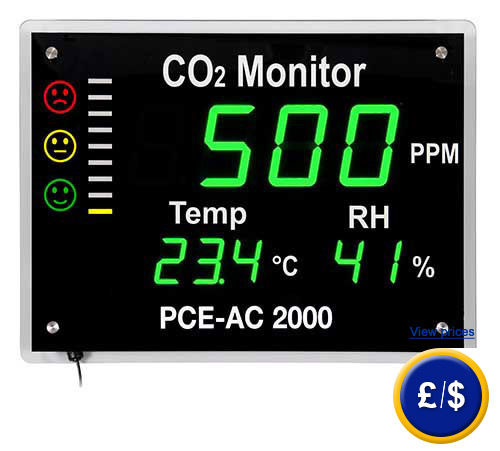 The CO2 gauge PCE-AC 2000 is equipped with a calibration function to adjust and re-establish "good" parameters. Additionally the CO2 gauge will show you optically via barograph display the CO2 concentration in detail. Carbon dioxide effects the general well-being of a human negatively ( e.g. causing tiredness, difficulty to concentrate and headaches) and by that his performance. The well-being is already affected from a concentration of more than 800 ppm. So the CO2 gauge is a reasonable addition for indoors with gathered people. If there are any questions about this RCD tester PCE-AC 2000, please have a look at the technical specification below or call: UK customers +44(0) 23 809 870 30 / US customers +1-410-387-7703. Our technicians and engineers will gladly advise you in all carbon dioxide meters and all products in the field of measuring instruments, regulation and control and scales. - Large, eligible display with barograph display and 3-colored "Mief-lights"